«ZomWar» mod was based on Call of Duty: Zombies game, where you need to defend themselves against the army of zombies. Zombies will try to kill you. Definitely install the map before starting the game! After complete installation, go to the map and select the arena. Mod has a system of points. These points you can spend on the purchase of weapons and ammunition. This mod is not compatible with iOS devices. 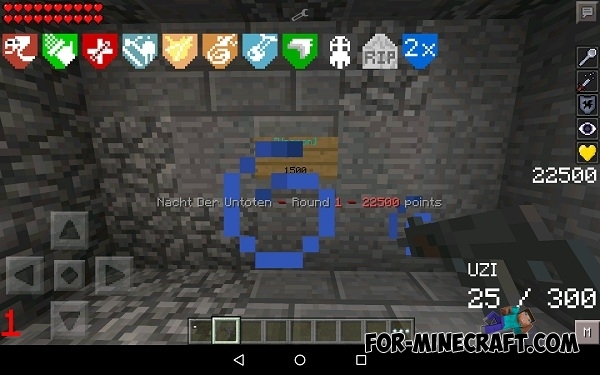 To use this mod, you need Minecraft PE 0.12.1 and BlockLauncher. Extract the mod from this archive and open the file in BlockLauncher's Browse button in Manage ModPE scripts. 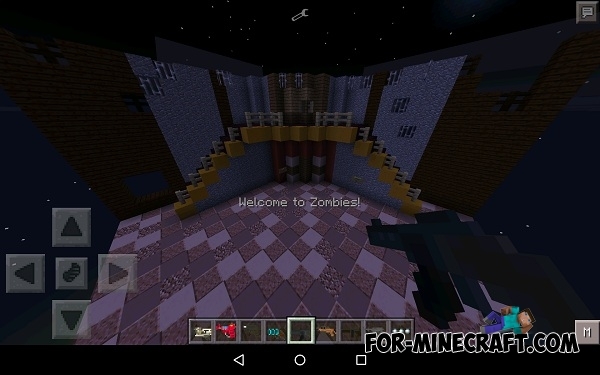 Extract "ZOMWar Textures.zip" from this archive and open the zip in BlockLauncher's manage texture packs option. 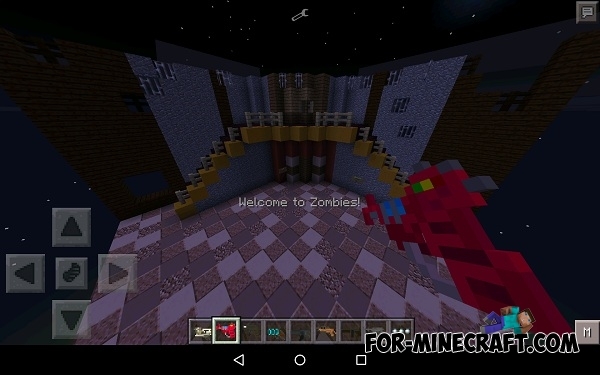 Extract the "ZOMWar Map" folder from this archive and paste it into games/com.mojang/MinecraftWorlds. 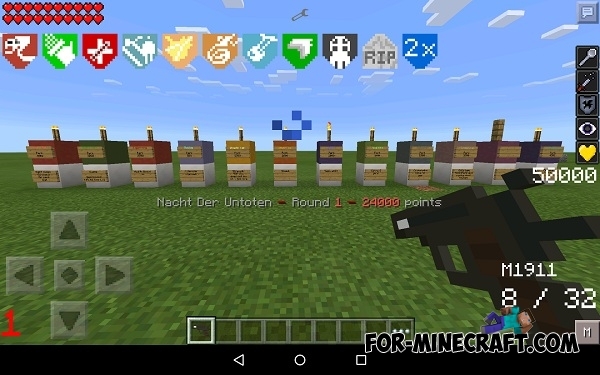 GTA V MOD v5.1 for MCPE 0.11.0 / 0.11.1Mod adds atmosphere of GTA V to your Minecraft PE: gangs, money, guns, cars, coke, cops. GTA V mod for Minecraft PE 0.10.5!Global mod which adds a lot of new things - guns, tanks and helicopters.